Purpose: Before signing a building contract, provided by the builder discover what it represents. Purpose: Scrutiny of building work to identify areas of deterioration and defects in building components and services. Owner-builder construction, stage inspection report. Purpose: Stage Inspections throughout construction to determine if building rules have been met for a Certificate of Completion to local council.Scrutiny of subcontractors work to determine if works are in accordance with contract documents, codes and standards.Confirmation of subcontractors claim for payment. Purpose: Identify the cause and extent of the problem to facilitate a remedy. Purpose: Scrutiny of a building to determine areas of maintenance required to make the building safe for occupancy and meet the required building rules. Purpose: To identify areas of deterioration in building work and recommend appropriate remedial work. Purpose: To provide administrative support to your building project. 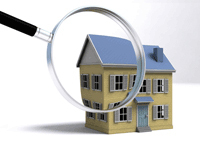 Purpose: Report of the condition of neighboring properties and to identify if building work about to be undertaken has the potential to cause damage to those properties. If a claim for damage to property is made by neighbors the dilapidation report is used as a benchmark to assess the neighbors building damage claim. Purpose: A quotation is a fixed price but does it include everything.Scrutiny of the quotation can identify hidden costs not included for the work. Purpose: When an issue concerning work impacts on any party being a natural person, company, local, State or Federal Government where parties cannot come to an agreement, this service recognizes the legal and legislative implications and works toward and assists in a negotiated outcome that all parties can recognize as a satisfactory resolution. Support through imparting building knowledge. Purpose: When faced with a concern about your building contract or workmanship and you need to find out as much as you can on the topic. We will provide you with that information.